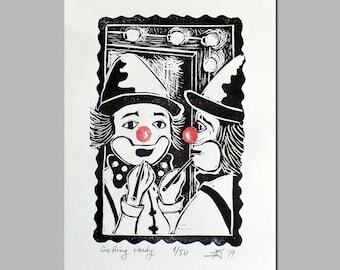 Clown #48 is homage to Oleg Popov a Russian clown known for "The Sunshine Clown" (1930-2016). He studied acrobatics, juggling, and other circus skills in Moscow Circus School, graduating in 1949. He toured extensively around the world in subsequent years with the Moscow Circus. In Australia, he was named King of Moomba. 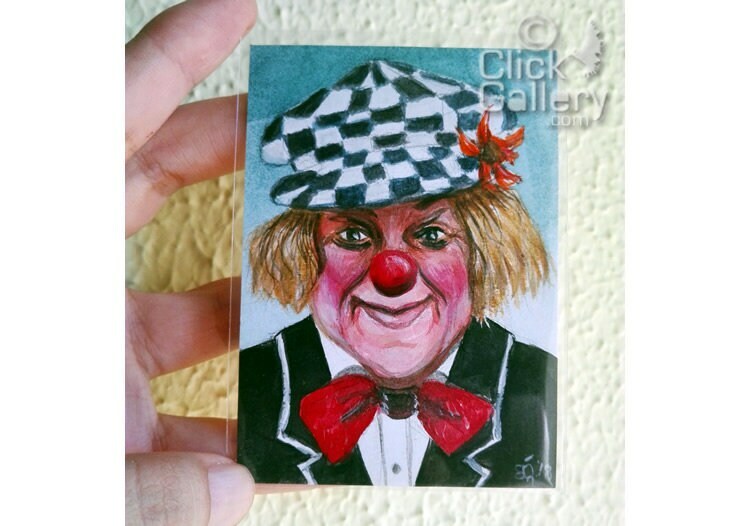 Popov performed as a clown, combining his talents as a mime, a tightrope walker, and a juggler. At the 8th International Circus Festival of Monte-Carlo in 1981, he received the coveted Gold Clown award as a tribute to his stellar career.